 Mississippi’s modern commercial rice production began in 1948 when Rex Kimbrell produced about 300 acres just south of Greenville in Washington County. By 1954, about 77,000 acres were harvested. After the 1954 crop, the U.S. government instituted acreage controls, and only 52,000 acres were harvested in 1955. Rice culture in the Mississippi Delta was limited by this government program, not producer interest. After the acreage control program was eliminated in 1973, the harvested acreage increased to 108,000 acres in 1974. In the following years, rice production increased rapidly, reaching a high of 335,000 harvested acres and 14.4 million hundredweight (cwt) in 1981. Rice production in Mississippi has been almost totally limited to the Mississippi-Yazoo Delta, with very little production outside this area. Historically, the central-Delta counties of Bolivar, Sunflower, and Washington have been the leading rice-producing counties. In recent years, Tunica County has increased rice acreage and annually ranks in the top three counties for rice production in Mississippi. The table below shows United States Department of Agriculture Farm Service Agency certified rice acres planted by county in Mississippi, 2009-2014. Looking for something a little different for your holiday menu this year? Consider adding Orange Wild Rice with Raisins and Apples to your lineup. Apples, raisins and orange juice add some sweetness to the savory rice, and the almonds give it a bit of added texture. Leaving out the parsley will allow more of the fruity notes to come through.